This is a FREE course for those interested in yoga. 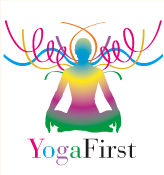 It is designed to teach you a set of very adaptable asanas (postures) and the associated safeguards. This course will teach a set of asanas called THE FIVE TIBETANS. An easy set of beneficial and ancient techniques suitable to all ages and all levels of ability. Self enrol into the course. If you need assistance you can contact us by emailing yogafirst@netcon.net.au. We hope that you enjoy the course. At the end of the course you can decide to do the short assessment in order to receive a certificate. You will need to return the assessment, and contact the Institute to request your certificate of attainment.